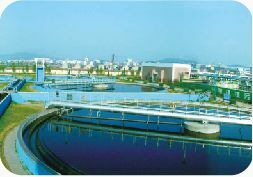 Generally, it is known as water-cycling system, in which the circulating water is heated by electrical or gas boiler in winter and dissipates the heat out of it by the use of cooling tower in summer to maintain the temperature of system, especially at the turn of the season, it can realize the maximum energy-saving in operation through heat transfer..
Opervwell water system bears the load in water system by the use of underground water, the merits of which are the completion of relatively constant circulating water temperature (generally within a range of 12~15°C) and the application in places where the geology and soil allow water recharge. 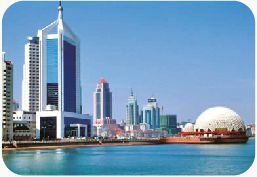 Therefore, environmental protection and lower running costs are achieved. 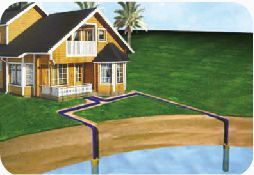 Place dosed-cyde heat exchange pipe line in the lake or pond or other surface water near building. Heating or cooling is performed for building through exchanging heat between closed-cycle water and surface water. The depth and area of water are very important and must be approved to meet the requirement of building load. 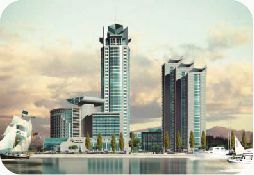 Waste water heat cycling system recycles a variety of low-grade waste heat, which is one of effective ways to solve the problem of high energy consumption for hot water in buildings. The significant reduction of temperature difference between cool and heat source not only contributes to energy conservation but also great water source saving. Punch holes and bury plastic composite heat exchange pipes underground (including vertical type and horizontal type). Vertical type is applicable for the place with small area and being in need of deep pipe burying while horizontal type can be used in large space. 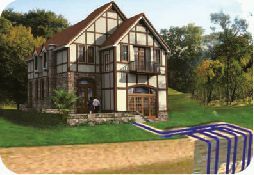 Heat exchange between underground pipes and soil helps realize air conditioning, higher Initial investment and lower running costs.. 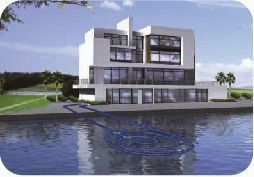 Through heat exchange between seawater and circulating water in water-source heat pump system, seawater-source cycling system introduces low-temperature and low-grade heat of seawater into the building space to achieve heating and cooling. The biggest advantage of this system is the effective application of resources, which contributes to none seawater consumption, none seawater pollution and high thermal efficiency.